Hello again, fellow members. The weather is getter warmer, daylight saving has arrived and summer is definitely on the way. I am sure everyone is looking forward to another long summer on the beach. We are getting ready for the new season by giving the clubhouse a bit of a spring clean and tidying up the grounds. A working bee is scheduled for Sunday 26th October (during Labour Weekend), and I encourage all members to come down and lend a hand. Many hands make light work! After the working bee we would like to invite all of the Toa community to come down to the club for an Open Day. The bar will be open, come and have a drink and meet the Committee and some of the guards. We would love to see you there! We are also looking to make some improvements to the shade sail out the front of the clubhouse and provide shade for the new lifeguard area, also known as “The Block”. I encourage any feedback and suggestions to improve the Club, just send me an email. With summer on its way, Labour weekend is the time to get the club ready for the upcoming season. We need your help to spruce up the club and do some maintenance tasks. Be at the club Sunday 26th at 12pm. If you could bring buckets, mops, brooms and shovels/spades would be appreciated, we may not use them all, but better to be prepared. After the work is done we’ll sit in the sun (hopefully) and throw a few sausages on the BBQ afterwards as a small thank you. Safe travels to Whiritoa, your Committee. This year the Coromandel / Bay of Plenty area is being fitted out with a new digital radio network, this is to replace the current VHF radio network that we currently operate on. 3 repeater stations have already been installed at key locations in Pauanui, Whangamata and Mount Maunganui, with a 4th repeater station planned in the next few weeks. The new network will allow emergency services and surf lifeguards to communicate further afield more effectively and pull resources together for faster response times. Chris Stevens from Australia has been over in New Zealand helping us with the roll out, training courses have been held over the past week to teach key club members how to use the new system. 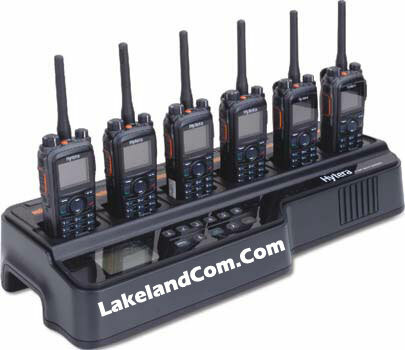 With the new system comes new radios, each club has been allocated a few new devices for the season but each club will need to invest in more handsets to phase out the current devices that they currently use. It is envisioned once the roll out has completed that we could look to deploy our own surfcomm, much like the northern region does however this is still in the planning and development stages and it has not been decided if this is a need for the Coromandel / Bay of Plenty area. Some exciting news from the lifesaving technology arena, keep an eye out for more details to come! 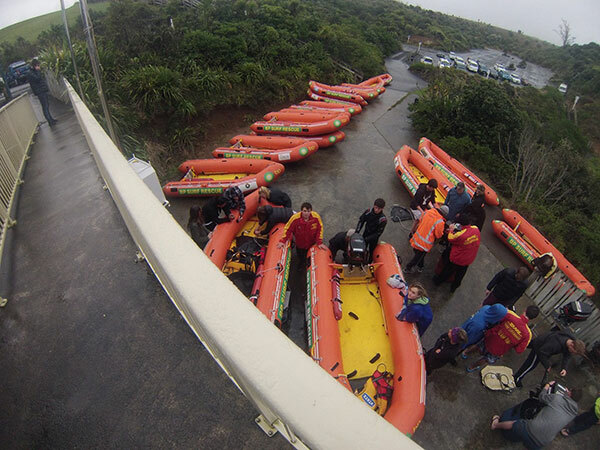 A few weeks ago a crew of Whiritoa lifeguards attended the IRB Examination course at Raglan surf club. There were over 60 candidates and their instructors present from all over the Coromandel / Bay of Plenty area with a further 8 examiners, all of which volunteered their time to help make the weekend possible. The weekend started out early, meeting up at Raglan surf club on Saturday morning for a safety briefing and run down of how the course was going to be run. 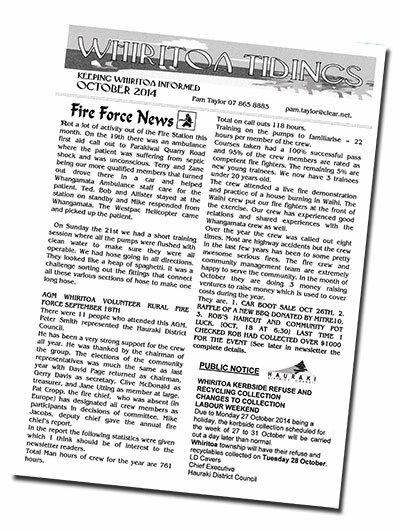 To begin the candidates had to prepare their IRB’s, stripping them down and setting them back up again. Those that were going for their drivers then had to demonstrate how to perform an engine reinstatement in front of the examiners. Meals were provided to those on the course, morning tea, Lunch, afternoon tea both Saturday and Sunday and Dinner on Saturday night. Part of the registration fees also included accommodation at the Karioi Lodge which they do every year and is well enjoyed by those on the course. Saturday afternoon, candidates were given the chance to play around in the surf and gain further development skills. At the end of the day, once everyone had packed up a theory test was held in the surf club. Sunday was examination day! 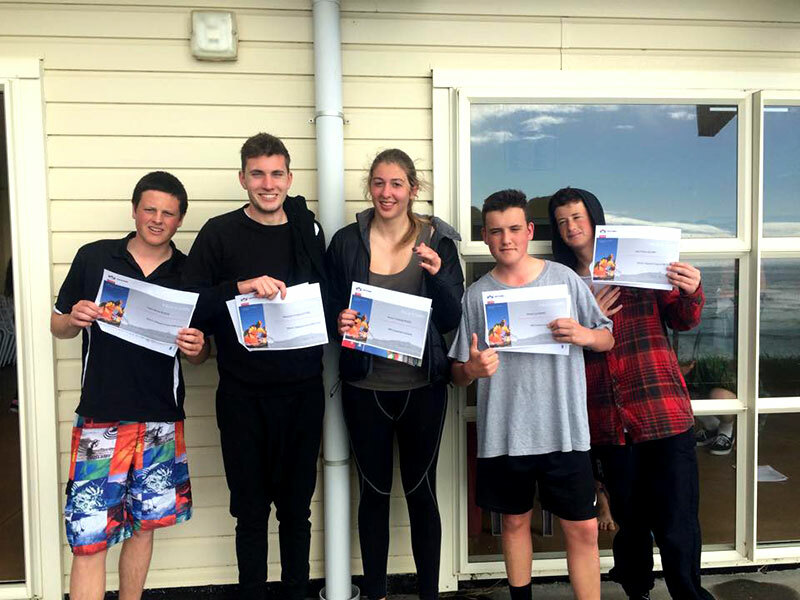 It was lucky because the surf picked up and made for some more challenging conditions, there was of course some flips, a few people fell out but the majority of the candidates passed their awards. Whiritoa left with 3 new IRB Drivers, 2 new Crewman and 1 new IRB Instructor! Which is 100% pass rate for the 2014 Raglan exam! Congratulations to the candidates chosen for the Anzac exchange! and the support of Arianna’s mum Nina. Our team will be traveling to our sister club Torquay Surf Club, near Melbourne in December where they will experience lifeguarding and club life down under. In January we will have the pleasure of hosting the Aussies at our club and showing them our awesome beach! Come down to the Club Bar on Saturday 24th Oct to watch the Championship final of the ITM Cup between Manawatu and Hawke’s Bay. By default its a Ranfurly shield match to boot! The bar will be open at 5.00pm with the kick off at 7.30pm.The Bar will also be open on Sunday 5 to 7:30 post the club working bee. Are you hungry for more Whiritoa news? There is so many things to love about Whiritoa but I run into a bit of controversy (with non locals) over whether its a good fishing spot or not and further more to get to the fish you need a couple of grand worth of gear. I’m here today to dispel some myths for the doubters out there. I was having a wee late afternoon nana nap on Easter Sunday this year down at Whiri, when my neighbor Mark Baker walks past with a couple of tourists in tow and their rods and shouts out “get out of bed, grab your gear, lets go fishing.” “There is no fish mate” I reply. ” “I’ve got some cold’s packed” says Mark, “coming…..” is my answer. Next minute, my $40 rod whips over, bends my rod holder, out it pops and starts heading off down the beach with the brake full on! So its down with brew and charging off after, dive for the rod – miss, up and dive again as its entering the sea, catch it this time, up and walking into the sea while cranking the brake off to let it run. The guys are going off like 5 year olds chasing a possum. 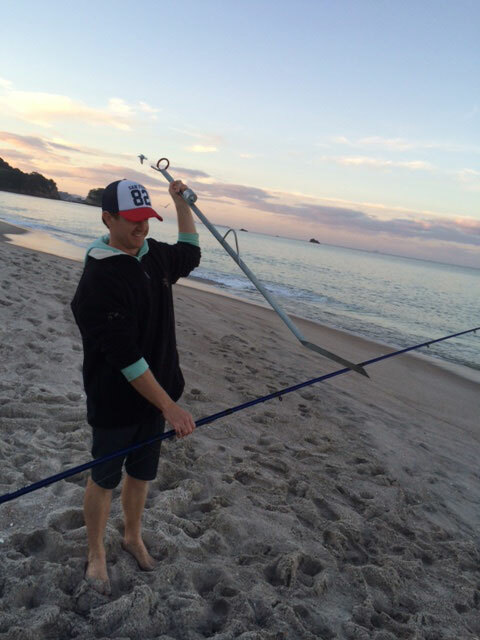 The rods screaming as I casually walk back up the beach, turn, (while striking a pose) and start winding the brake back on to slow the fish. The moment I wind the break on the fish turns and comes straight back to us as fast as I could wind. 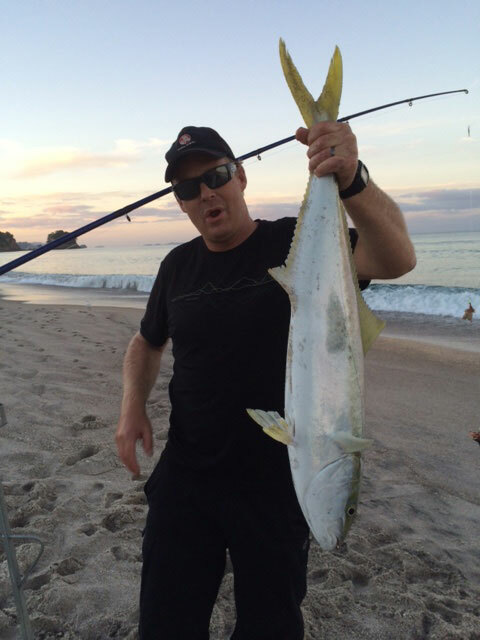 As it approaches knee deep Mark (brave as all hell) charges into the surf and dives on it, gives it the big cuddle as he races back up the beach with a 97cm Kingie. Marks saturated, I’m dry, beer and BBQ on! All this happened with an hour of leaving home. 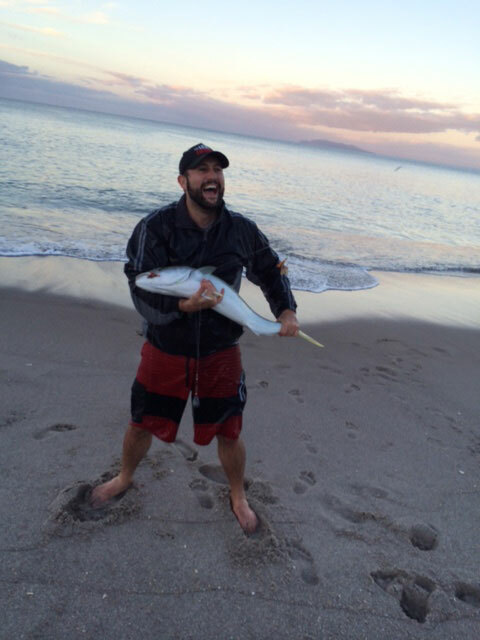 So there you go, you don’t need expensive gear and the fishing is pretty good at Whiri.